Marietta Wrecker Service is a family owned and operated commercial towing and vehicle recovery company serving the metro-Atlanta area and beyond. Since 1974, our mission is to provide timely, efficient, and reliable towing services in a professional manner. We understand every minute counts. We provide top-quality, professional towing service, including 24/7 towing services for motorists, emergency roadside service, equipment transport, long haul trucking, class A towing, heavy duty towing, impound towing, private property towing, and more. Our competitive advantage is that we can move or transport anything. Need a tow? Call Marietta Wrecker Service. Looking for reliable towing service in Marietta & metro Atlanta? Broken down vehicle, flat tire, car lockout, or dead battery, our 24/7 towing services are just a phone call away. We provide light duty towing for disabled vehicles or motorcycles due to breakdowns, accidents, or vehicle transporting. Our 24/7 roadside assistance is there to help you resolve your car emergency. Call now for reliable and quick towing service. We have medium to heavy duty tow trucks that allow us to tow anything from commercial trucks, to RVs and trailers, to any size bus. We have large and versatile fleet that allows us to tow the heaviest of trucks and equipment. We aim to serve you 24/7. Our trucks can get your commercial vehicles back on the road or to the shop quickly. We can tow or transport any equipment up to 105,000 lbs. We provide towing services for long haul equipment transport. If you have equipment that needs to be transported or hauled, call us today. In addition, our multi purpose rotating crane lifts and recovers casualties from side-to-side, which goes beyond a standard vertical-only crane. We recently partnered with the GOCA and sponsored a truck to raise awareness. We provide fast, reliable towing services for individual and commercial customers. We are a family owned and operated business with over 45 years of experience. Customer satisfaction is paramount to our success and that is why we treat each vehicle with care. Whenever your vehicle becomes immobile, regardless of the circumstances or situation, there’s no need to worry. The experienced and friendly professionals at Marietta Wrecker Service have the tow trucks and equipment to provide unmatched towing and recovery services. Our reputation as a prompt, reliable and seasoned towing service is second to none. Our staff of highly trained drivers have the knowledge and equipment to handle all of your towing and recovery needs without damaging your vehicle. We offer 24 Hr Emergency Road Services, Emergency Towing, Recoveries, Multi-Car Hauling, Private Trespass Towing, Motorcycle Towing, and Equipment Transport Services. 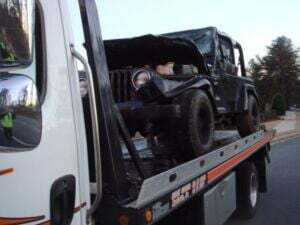 The experienced and friendly professionals at Marietta Wrecker Service have the tow trucks and equipment to provide unmatched towing and recovery services for the cities of Alpharetta, Atlanta, Kennesaw, Mableton, Marietta, Roswell, Smyrna and Vinings.